Inheritance is a great way to write less code and get the same functionality. 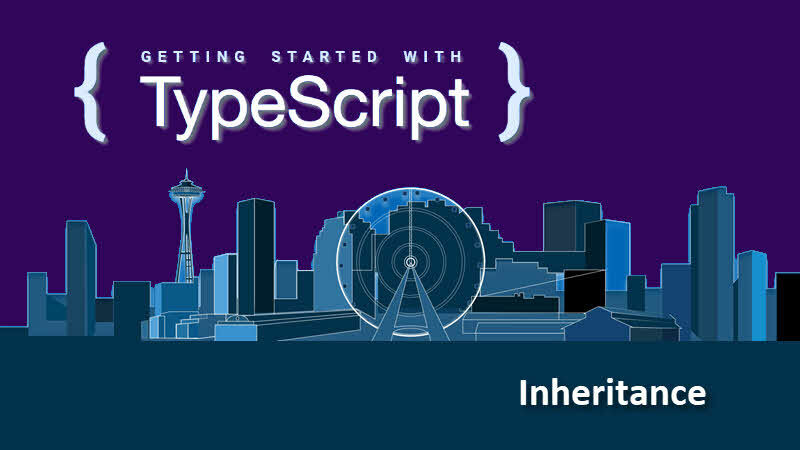 Read on to learn how to use inheritance in your TypeScript code. Just like any other OOP supported language, TypeScript also allows you to inherit a base class. In the last article, we learned how to create a class in TypeScript. We have also learned how to create a constructor and how to instantiate a class object. In this article of the TypeScript Tutorial for beginners series, we will learn how to inherit a TypeScript class. In TypeScript, you can inherit a class from another class. Just use the extends keyword to perform inheritance. Consider the following example to understand it better. Here the Employee class inherits its base Person by writing class Employee extends Person. In the derived class super(...) can be used to call the constructor of the base class. For example, super(fName, lName) in Employee class constructor calls the base class constructor by passing the parameter values fName and lName. Now, in the following code snippet, we created the instance of the Employee class and passed four parameters to its constructor. In the implementation of the Employee class constructor, we called the base class constructor to pass the first name and last name of the employee. So, when you call the toString() method of the derived class, it will print out both the properties. Let's summarize what we learned today. We learned how to inherit a class from a base class in TypeScript using the extends keyword. Then we discussed how to call a base class constructor by passing the respective values to it. In the next article of this tutorial series, we will discuss interface. Till then, happy learning!